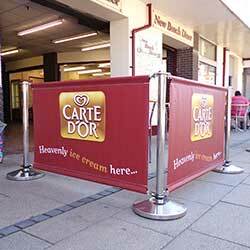 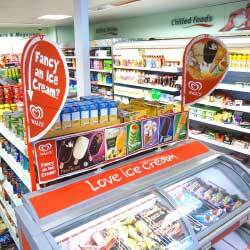 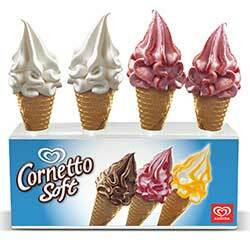 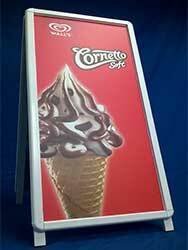 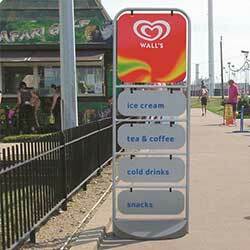 We’re very proud of our continuous working relationship over three decades with Unilever Ice Cream – Wall’s, HB, Carte D’Or, Ben & Jerry’s, Algida, GB Glace, Good Humor, to name some of their global brands we have been trusted with. 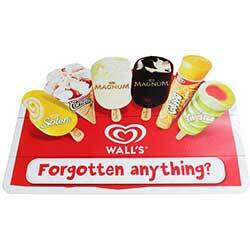 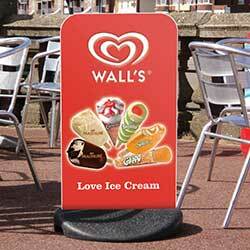 The annual POS ‘Visibility’ contract for Wall’s alone has regularly involved 10+ different products, many of those across multiple printed designs. 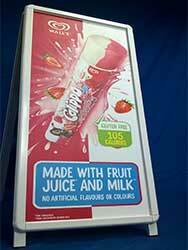 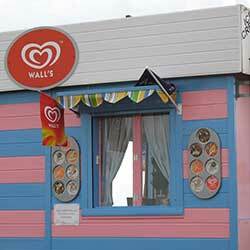 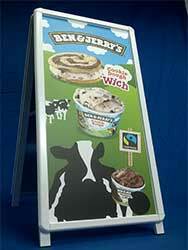 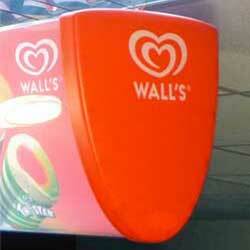 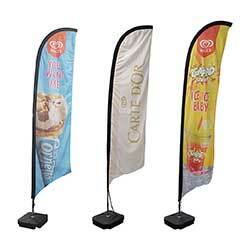 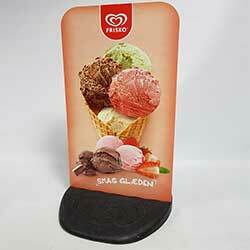 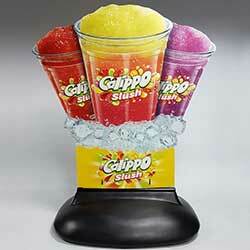 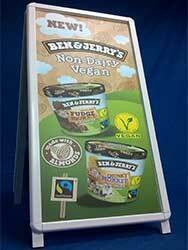 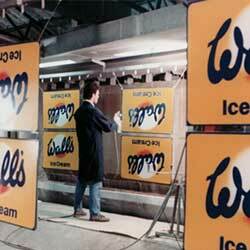 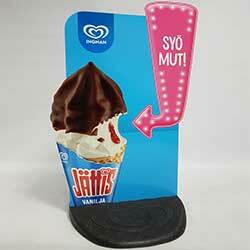 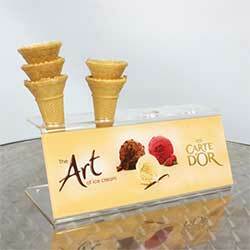 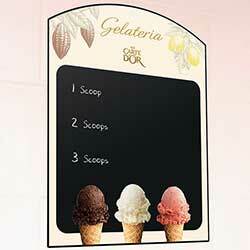 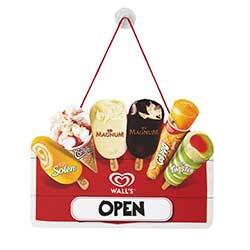 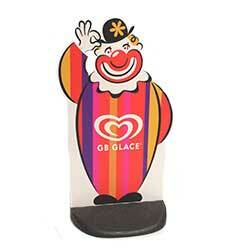 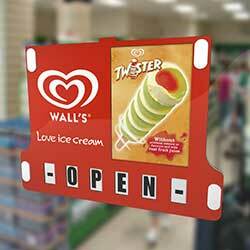 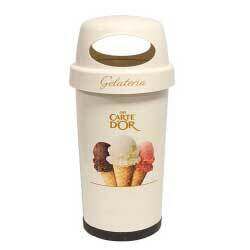 The majority of items are standard Signwaves products utilising our customisation service. 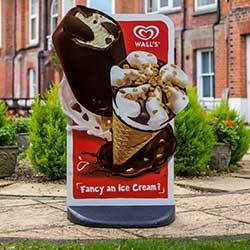 Clever use of shape to enhance imagery and standout provides the illusion of something bespoke with the benefits of speed to market, lower risk and cost associated with a standard solution. 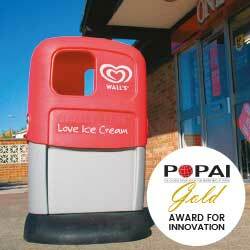 From assisting with field research, proposing new product and service solutions, to introducing alternative more environmentally friendly materials in support of The Unilever Sustainability Plan (https://www.unilever.co.uk/sustainable-living/), added value service such as this goes beyond the traditional project management role but is something we relish in a long term mutually beneficial relationship.